Manila, Philippines – In a ceremony held December 12, 2014 United States Ambassador to the Philippines, Philip Goldberg presented the Secretary of State’s Award for Corporate Excellence (ACE) to Coca-Cola Philippines for its efforts in the relief and rehabilitation of areas affected by Typhoon Yolanda (Haiyan). Receiving the plaque of recognition on behalf of Coca-Cola Philippines is Atty. Adel Tamano, Vice President for Public Affairs and Communications. ACE, which began in 1999, was created by the State Department to recognize the role businesses play as a ‘positive force in the world’ and further corporate social responsibility, innovation, exemplary practices, and democratic values worldwide. Companies from the US are nominated by Chiefs of Mission worldwide and chosen based on the consensus of the Under Secretary for Economic, Energy, and Agricultural Affairs, a representative of the Secretary, the Under Secretary for Global Affairs, the Under Secretary for Public Diplomacy and Public Affairs. In photo: U.S. Ambassador to the Philippines Philip Goldberg (center) turns over a plaque of recognition to representatives of The Coca-Cola System, Atty. Adel Tamano, Vice President for Public Affairs and Communications (right) and Juan Carlos Rodriguez, Director of Human Resources and Corporate Affairs, Coca-Cola FEMSA Philippines (left) for the U.S. State Department’s Award for Corporate Excellence (ACE), 12 December at Sofitel Philippine Plaza. ACE is presented in recognition of the company’s exemplary corporate citizenship, innovation, and distinguished contributions to the overall growth and sustainable development of the local economy in the Philippines. The award was presented to the Coca-Cola Philippines for its holistic and sustainable approach in responding to communities impacted by Typhoon Yolanda (Haiyan). In November 2013, Leyte and nearby provinces in Central Visayas suffered major damage from the onslaught of Typhoon Yolanda (Haiyan). Coca-Cola was one of the first companies to respond to the crisis by donating $2.5 million from its global office for various relief and humanitarian efforts. The following month, it suspended all advertising for Christmas and rechanneled the resources towards the same cause. Coca-Cola also launched partnerships with the Philippine Red Cross and Habitat for Humanity for a nationwide call to raise donations and pool volunteers. In addition to providing disaster relief services, immediately after the typhoon Coca-Cola realigned its core sustainability programs that can positively impact the lives of affected families to help them get back on their feet. These sustainability programs are focused on addressing basic community needs such as water, nutrition and education. Chief among the Coca-Cola sustainability programs implemented in affected areas are the Agos Ram Pump water project, which is installed and operational in 50 communities nationwide. Coca-Cola was able to help improve water quality and increase the number of families with access to safe water, especially those families in relocation sites. To help address malnutrition among school children, the NutriJuice program was implemented, a total of 35,000 school children from various public elementary schools were provided with iron fortified NutriJuice for a continuous 120 days. While in order to help restore access to basic education, more than 300 classrooms were also built in remote rural areas through the Little Red Schoolhouse project. The recently turned over Little Red Schoolhouse in Marasbaras Elementary School, a six-classroom, two-story building will be used by more than 300 students in grades five and six. In addition to addressing core community needs, Coca-Cola also provided mechanisms to address the need to revive the livelihood of families. This was done by dovetailing rehabilitation efforts to their 5by20 Program – a Coca-Cola global program designed to provide an enabling environment to economically empower women micro-entrepreneurs. Right after Typhoon Yolanda (Haiyan), Coca-Cola immediately deployed kiosks, coolers and product bundles to its partner sari-sari stores in order to help restore and jumpstart their livelihood, reaching about 1,000 stores in the provinces of Leyte and Samar. Likewise, Coca-Cola joined forces with United States Agency for International Development (USAID) and other private sector in a bid to rehabilitate livelihood of another 1,000 women micro-entrepreneurs by rebuilding their sari-sari store structure and providing them to access to product inventory in order to restart their small businesses. While in partnership with the Negros Women for Tomorrow Foundation, Coca-Cola implemented a Bridge Loan program to 3,000 women who have lost their sari-sari store livelihood to the typhoon. 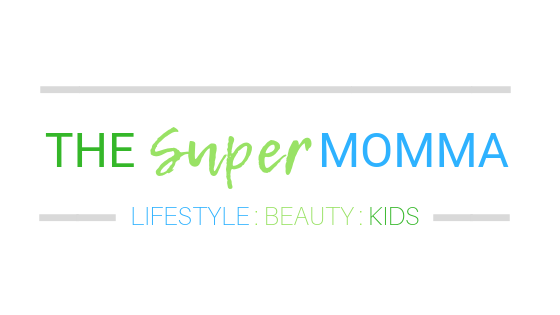 A total of 5,000 women with their families benefitted in the 5by20 Program, this initiative have been able to help ensure that there is a steady flow of consumer goods in the community – a very crucial aspect in disaster stricken communities. These initiatives were implemented through Coca-Cola’s partnership with the USAID, Philippine Red Cross, Habitat for Humanity, Negros Women for Tomorrow Foundation, Alternative Indigenous Development Foundation Inc., Department of Education, Philippine Business for Social Progress, and local government units, among others. “By realigning our core community programs in areas impacted by Haiyan and through partnerships with equally passionate organizations, we believe we can make these initiatives sustainable. Our call has always been to make a positive difference in the lives of individuals and communities because we believe that we can only be as sustainable as the communities we proudly serve,” said Atty. Adel Tamano. 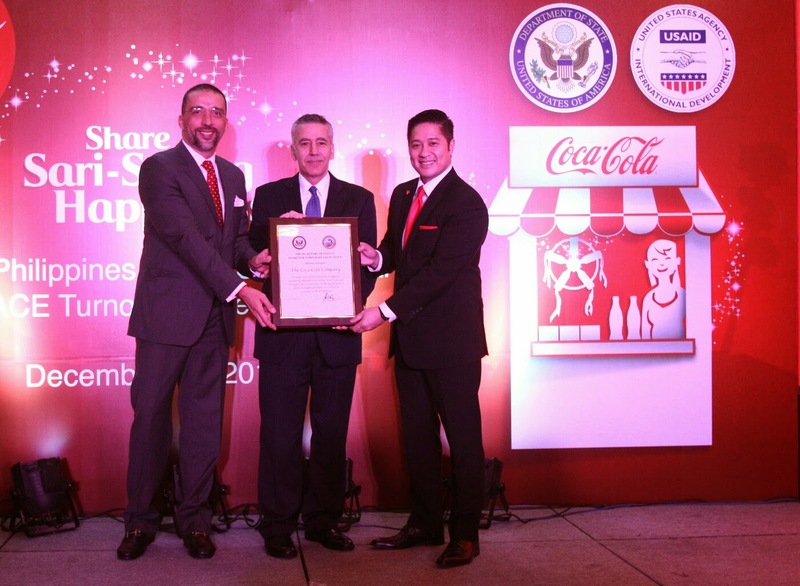 The Coca-Cola Company, a member of the US-Philippines Society Board of Directors, is one of three companies to win the Secretary of State's 2014 Award for Corporate Excellence (ACE). The ACE is given to exceptional American companies for their leadership and commitment to innovation, responsible practices, and positive contributions to local economies where they do business. The ACE award this year had nine finalists that included Chevron Corporation in Burma, Contour Global in Togo, GE International, Inc. in Tunisia, GlassPoint Solar in Oman, and The Linden Centre in China. The other ACE winners are EcoPlanet Bamboo Group in Nicaragua and Wagner Asia Equipment in Mongolia.